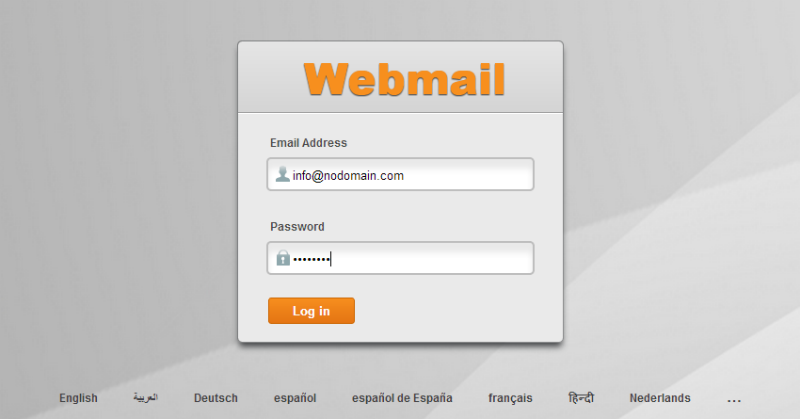 Webmail should always be accessed DIRECTLY if you are checking or sending mail. This means that you should be logged in as your email address and NOT as the default (cPanel) user. This is very important as the default account can cause issues to arise (ie: errors when sending mail out or folders created in the wrong location). And, the version of your webmail accessible from the Control Panel is NOT a fully functional version, and will NOT allow you to send messages! 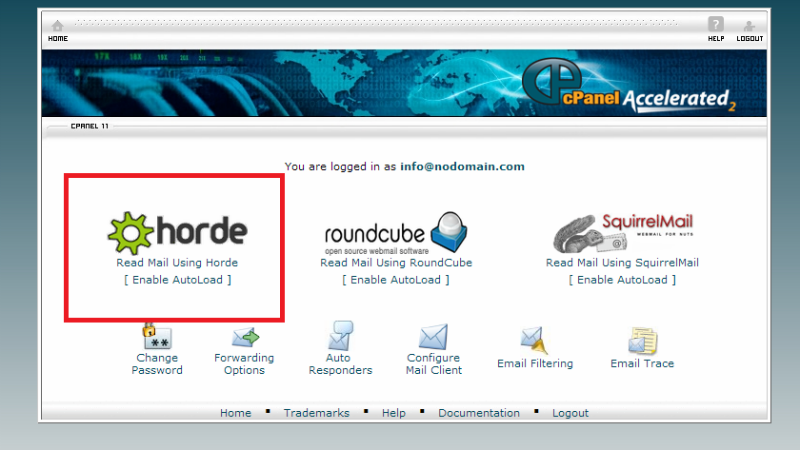 We recommend using Horde to access your email, as it tends to be the most reliable and easiest to use of the three choices. 3. Click the ‘Log In’ button on the following screen. You should now see the inbox for that particular email account! And, if you have additional questions or concerns, please contact support@portfoliositez.com!